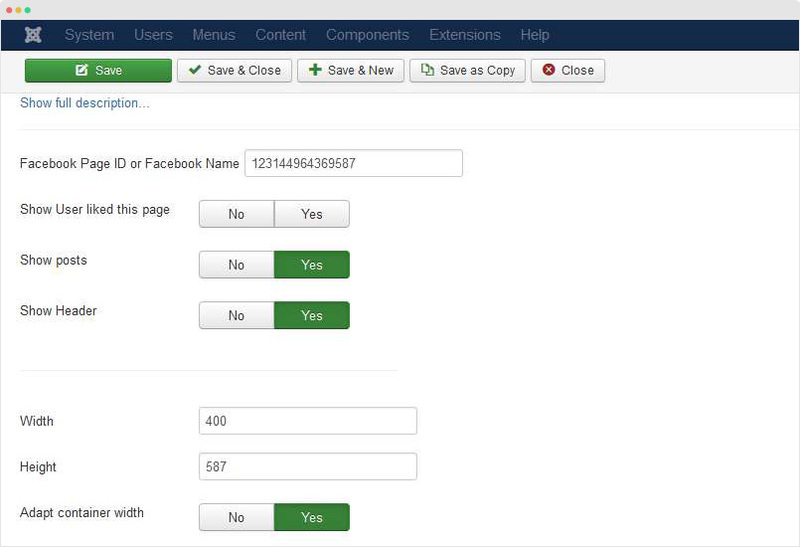 From the back-end of your Joomla site (administrator), select Extensions >> Module Manager, then click on module named JA Facebook Like Box to go to configuration panel. 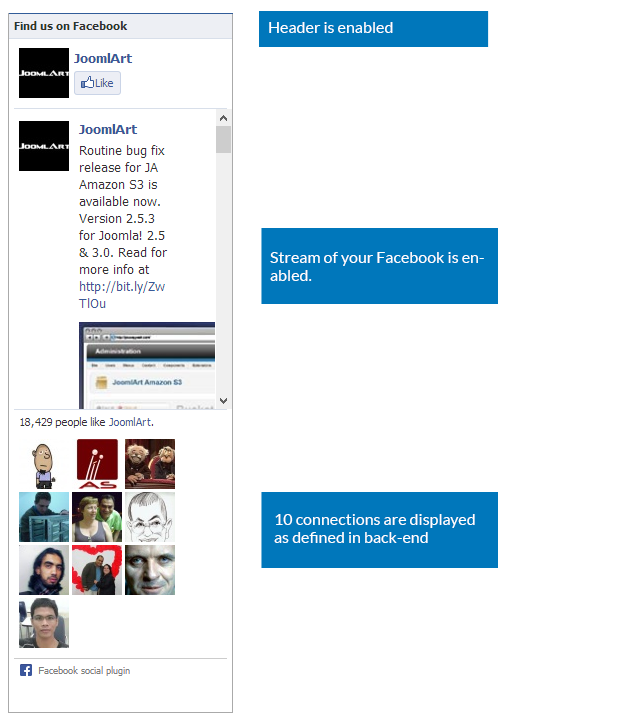 Facebook Page ID: The ID of Facebook page. Connections: Input the number of member that connected to the Facebook page. Show Stream: To show stream of page in box. Show Header: To show header “Find us on Facebook”. Width: Defines the width of box in pixels. Height: Defines the height of box in pixels. 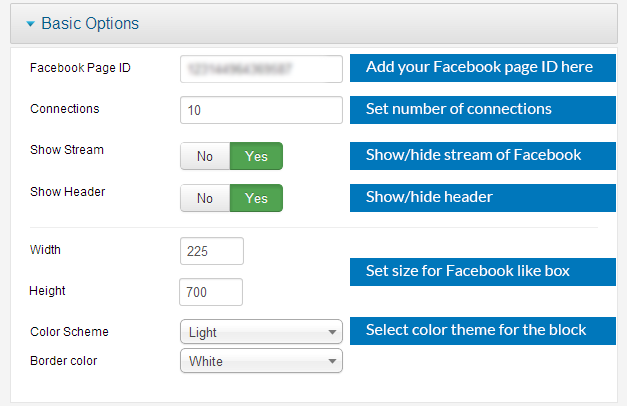 Color Scheme: To set color of box. Border Color: Border Color of module. System supports 17 Standard Colors are: aqua, blue, black, fuchsia, gray, grey, green, lime, maroon, navy, olive, purple, red, silver, teal, white and yellow. Is the Facebook Page ID correct ? 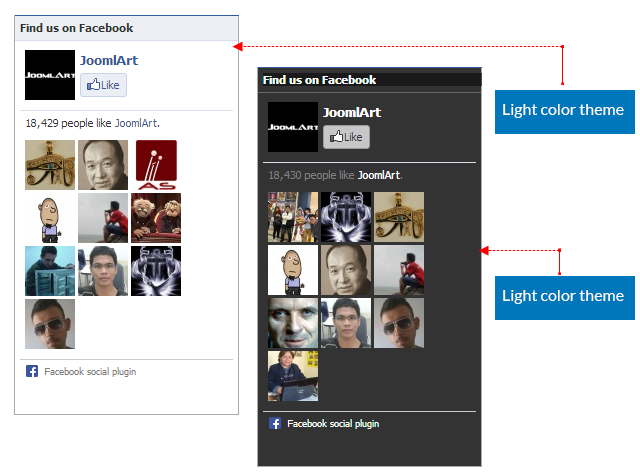 The Facebook Page ID you enter in the setting panel must be correct. Add setting "Adapt container width"